fern + floret botanical - twin cities, mn wedding, event + editorial florist // nature inspired floral design, decor rentals, + a dose of magic for weddings, events, + more in minneapolis, saint paul, and across the state of minnesota // emphasis on sustainable & locally grown flowers // handmade plant dyed ribbons, runners, linens + more for weddings, events + styling. made with 100% vegan cotton & flax fabrics, including sheer, silky, and velvet. dyed by hand using 100% natural plant materials. | minneapolis, minnesota floral design | minneapolis wedding florist | minneapolis floral designer | minneapolis wedding flowers | minneapolis decor rentals | twin cities floral design | twin cities floral designer | twin cities florist | twin cities wedding florist | twin cities wedding flowers | saint paul floral design | saint paul floral designer | saint paul florist | saint paul wedding flowers | saint paul wedding florist | mn wedding flowers | mn wedding florist | mn floral design | mn floral designer | minnesota wedding flowers | Minnesota wedding florist | minnesota floral designer | minnesota floral design | fern and floret | minneapolis editorial florist | twin cities editorial florist | saint paul editorial florist | minnesota editorial florist | mn editorial florist | mn decor rentals | minnesota decor rentals | mpls decor rentals | saint paul decor rentals | twin cities decor rentals | mpls wedding florist | mpls wedding flowers | mpls floral designer | mpls floral design | follow @fernandfloret on instagram! The beauty of plants knows no bounds. 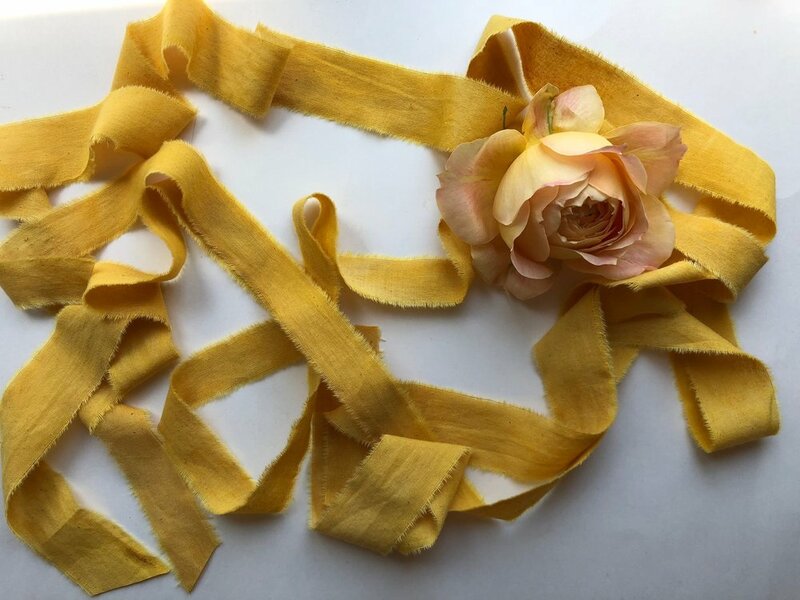 fern + floret now offers our very own custom handmade plant dyed textiles including ribbons, table runners, and draping fabrics for weddings, events, + styling. These beauties are all created in house using vegan organic cotton fabrics + dyed with 100% botanical materials, because we’re big believers that nature really does do it best. Each batch begins with a carefully selected variety of beautifully textured 100% organic cotton fabrics, which are a sustainable + cruelty free alternative to commonly used silks. The variety of textures cotton fabrics provide is beautiful and diverse - some smooth + shiny, some gauzy + sheer, some velvety + lush, all completely natural and the perfect canvas for soaking up color. These fabrics are hand dyed using carefully crafted blends of 100% natural plant materials. 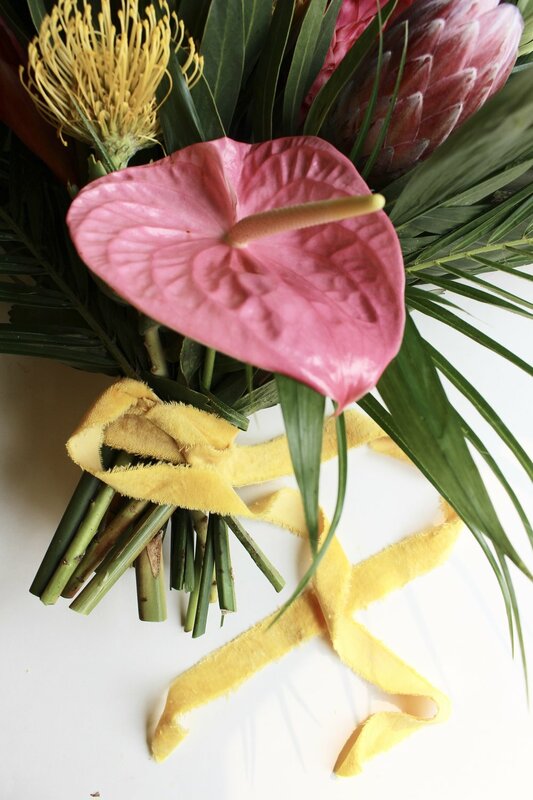 Our plant dyes are concocted using everything from fruits + veggies to herbs + roots to dried foliage + floral blooms, creating the most vibrant, complex, earthy, natural shades that showcase the best that nature has to offer. The fabrics are then torn by hand to achieve beautifully natural, frayed edges. The end result? Beautiful, flowing fabrics with vibrant, natural colors + a dose of plant derived magic, and they're all 100% vegan + cruelty free! Whether it’s ribbons, table runners, arch draping… we’d love to work some botanical magic + create something custom for your special day. Welcome to the in-progress color gallery of shades available for custom dyed ribbons, table runners, and draping fabrics. Each color is achieved with the magic of plants! We carefully experiment with a variety of plant ingredients to concoct secret recipes that achieve all hues of the rainbow. Gallery is a work in progress - check back soon for more samples being added. Don’t see your shade here? We love to experiment + create custom shades!